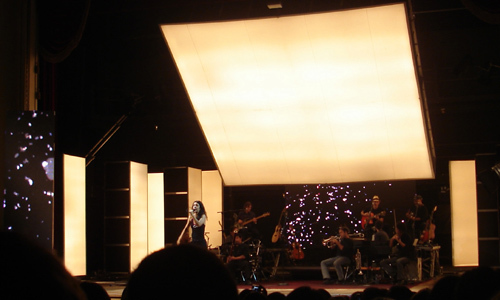 An excerpt from the concert held in the Don Pedro Segundo Theatre of Ribeirão Preto (São Paulo) on April 29. The show was definitely worth the wait in line for the ticket. Marisa Monte has a great voice and lots of talented people play in her band. She is awesome.